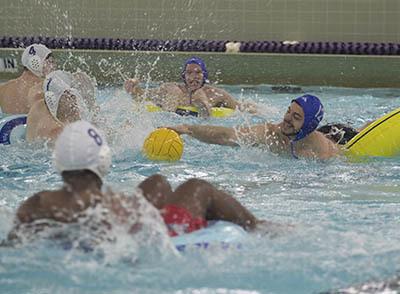 get involved and other perks of life at SFA. 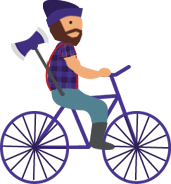 Pick your character, and take a ride to see all the fun things you can do on and off campus. 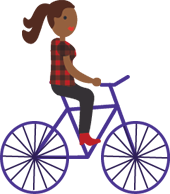 Use arrow keys to move your bike along the road. Be sure to click the dots along the way. 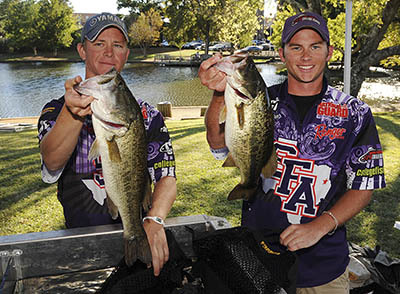 All you outdoorsy types will love the fishing and hunting options that are just a short drive from campus. 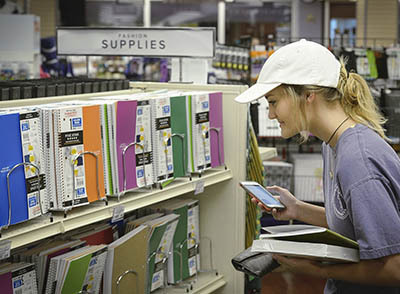 From the shops in historic downtown Nacogdoches to nearby malls and retail stores, shopaholics will feel right at home. We have quite a restaurant row just across North Street from campus, including popular chains. 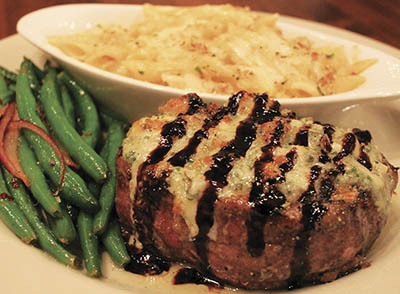 Or venture out into local favorites. 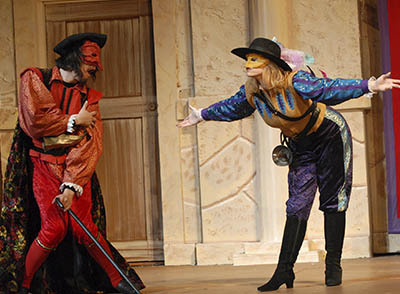 SFA boasts an on-campus movie theater and fine arts performances. 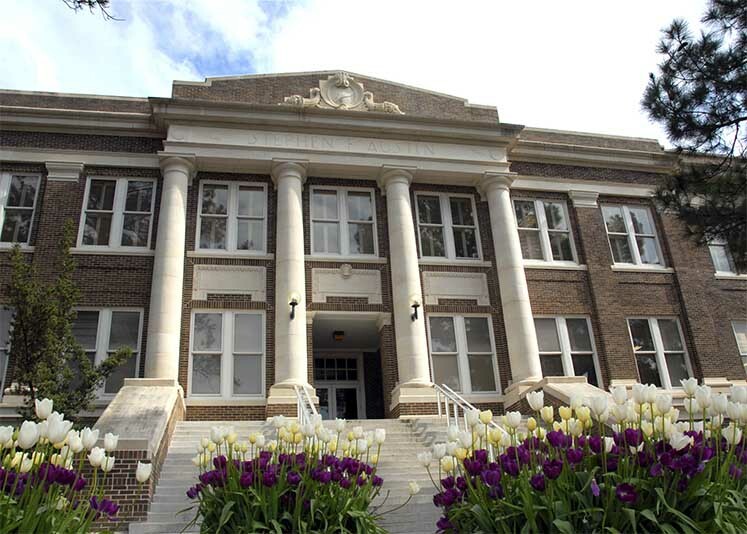 Nacogdoches has a strong live music scene offering plenty of local entertainment, too. 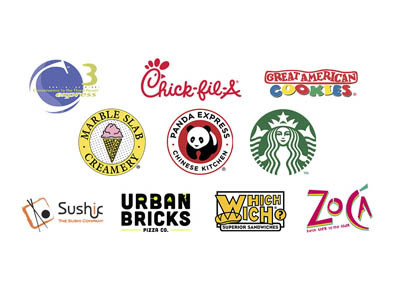 Get your grub on at familiar chains like Chick-fil-A and Panda Express, or dig into the delicious fare at our dining halls. 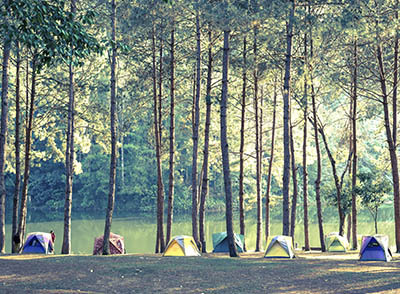 If you want to sleep under the stars or snuggle up around a campfire, you’re coming to the right place. There are plenty of nearby campsites. From flag football to softball to wiffle ball, stay involved with sports you love. Or discover new ones. Lazy river? Check. 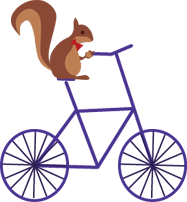 On-site nutritionists and masseuses? 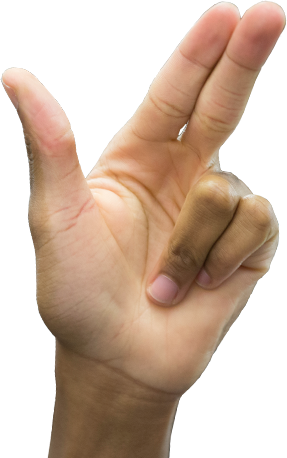 Check and check. All the exercise equipment you could ever want? Check. 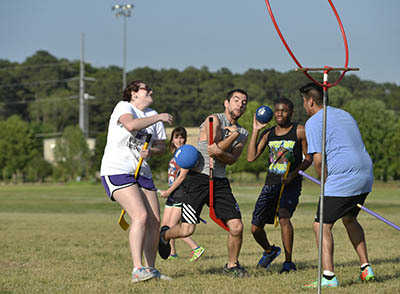 Sports clubs, ranging from baseball to ultimate Frisbee, bridge the gap between intramural activities and our varsity athletics. 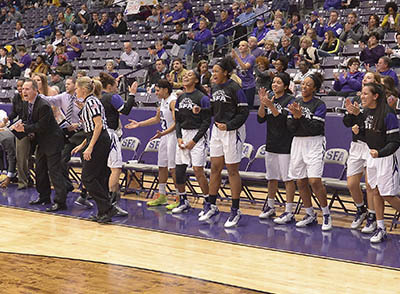 Cheer on the Lumberjacks and Ladyjacks as they vie for championships in 15 Division I men’s and women’s sports. 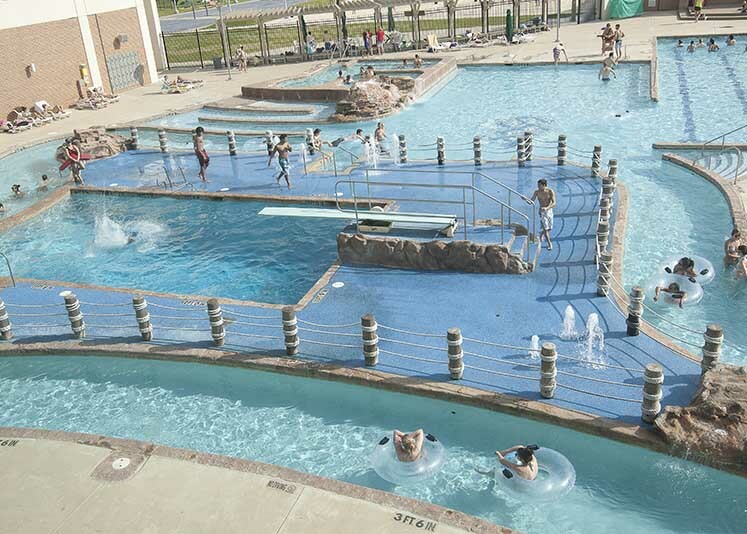 Lakes and rivers and pools… oh my! 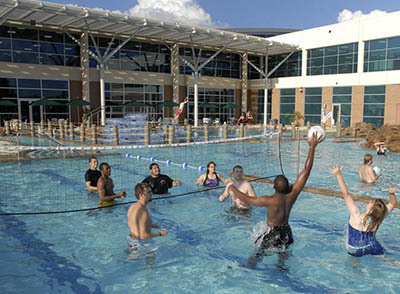 Splash into fun and cool down at our rec center or any of the many surrounding bodies of water. 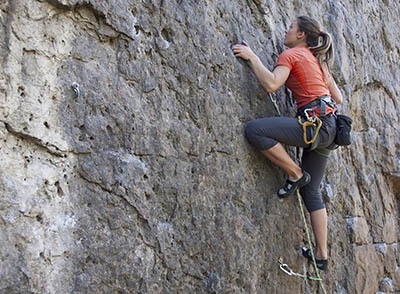 SFA has a climbing wall in the Rec Center and hosts clinics and trips for climbers of all experience levels. 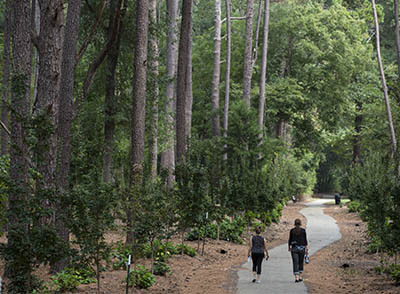 We have miles and miles of hiking and biking trails on and near campus. So you’ll have plenty of places to explore! 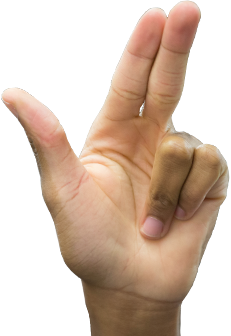 When you attend an SFA sporting event, you’re sure to hear Lumberjack fans cheering, “Axe ’em, Jacks!” and flashing our hand sign. 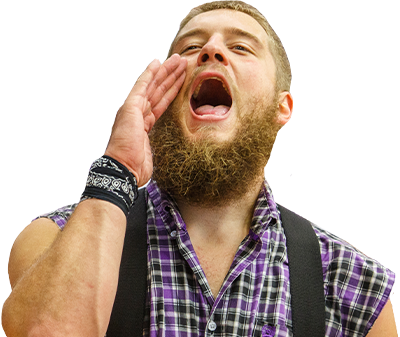 Find out how we became the Lumberjacks in the first place. After more than 90 years, it should come as no surprise that we have a rich collection of athletic traditions, including our Purple Haze cheering section, Battle of the Piney Woods and our faithful cannon, Ole Cotton. 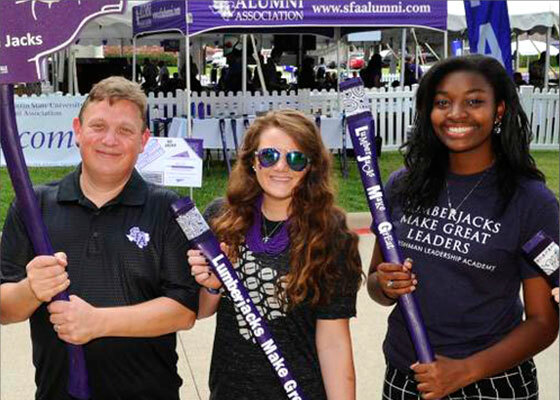 Lumberjack pride runs deep on campus and stays with SFA graduates long after they’ve moved on. Discover some of the interesting ways Lumberjacks show their school pride. Every SFA freshman receives an axe handle to personalize with their own Lumberjack spirit. 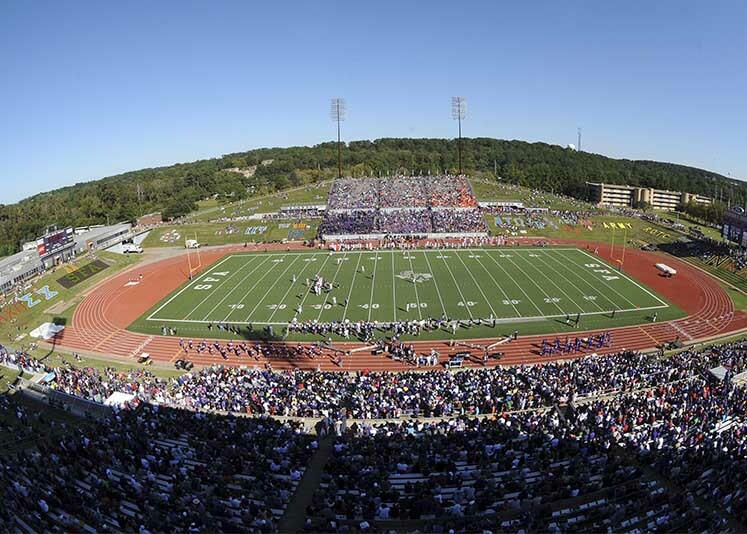 Students can be seen (and heard) banging axe handles on the bleachers at SFA football games. Want to get involved and make a difference? Want to develop leadership skills? Just looking to make new friends? 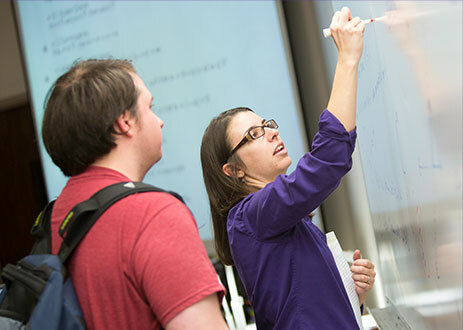 With nearly 250 student clubs and organizations at SFA, you’ll have plenty of opportunities to network with Lumberjacks who share your interests. 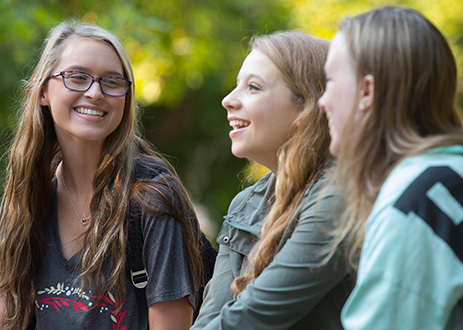 If you’re ready to search our clubs and organizations for the perfect fit, learn more. 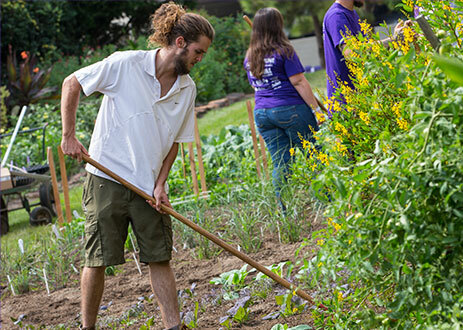 At SFA, our students take pride in giving back to the community – it’s the Lumberjack way. See how you can get involved. Lumberjacks make great leaders! 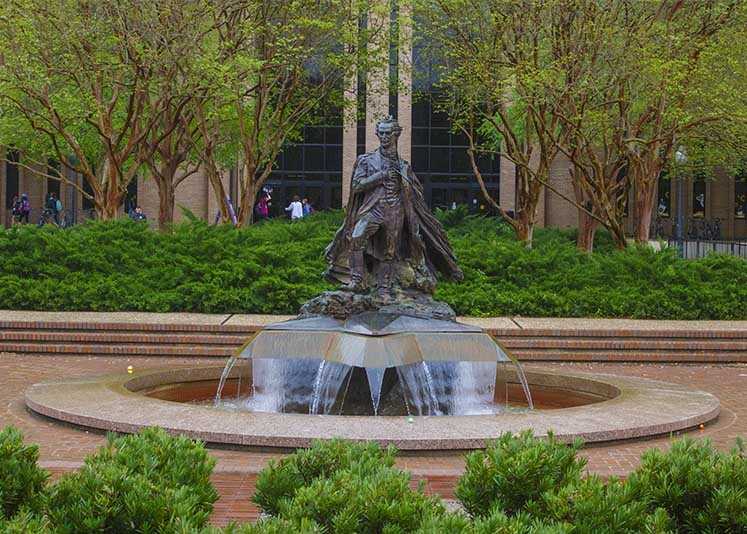 You’ll find exciting leadership opportunities from the first day you step onto the SFA campus. Meet new people, make friends and get involved. If you can’t find the perfect club, create your own. 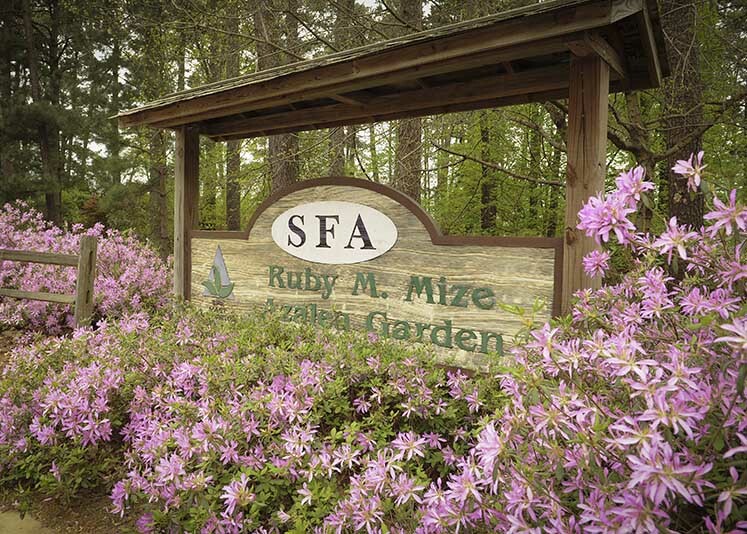 With more than 7,000 azaleas in bloom each spring, SFA's Ruby M. Mize Azalea Garden is the largest azalea garden in Texas and the highlight of the East Texas Azalea Trail. At that time, the building housed 25 classrooms and the university library. A demonstration kitchen was just down the hall from the president's office. Grab your axe handle and cheer the Lumberjacks and Ladyjacks to victory at the 14,575-seat Homer Bryce Stadium. Our stadium plays host to football and track-and-field events. 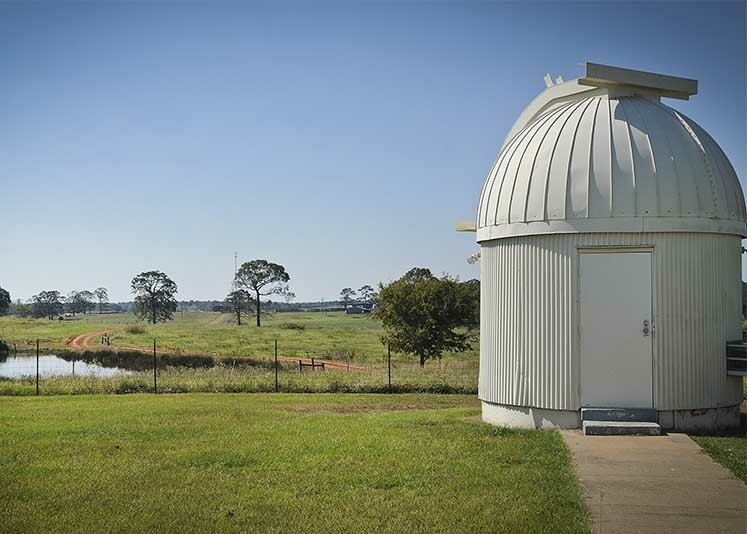 SFA is home to the largest student observatory in the state of Texas and regularly holds public viewing sessions. There’s nothing like the view of the starry sky above the East Texas Piney Woods. Catch a movie, stop for sushi or meet friends at Starbucks. 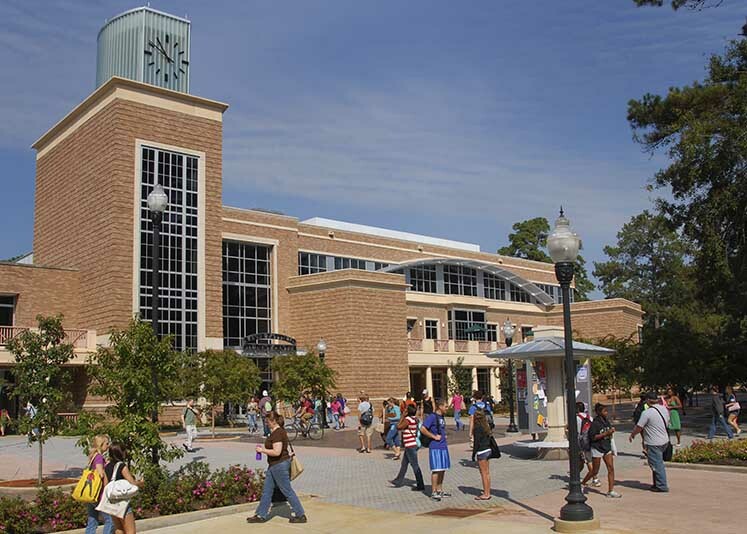 The Baker Pattillo Student Center is a popular Lumberjack hangout. A healthy body and a healthy mind go hand in hand. 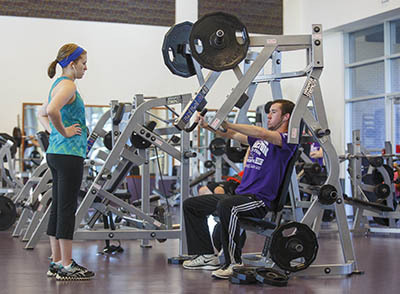 The Rec Center has plenty of ways to get fit and have fun, from gym equipment and wellness services to camping and climbing clinics. Some people call them dorms. We call them residence halls. Whatever you call them, living on campus is the best way to soak up the full university experience. 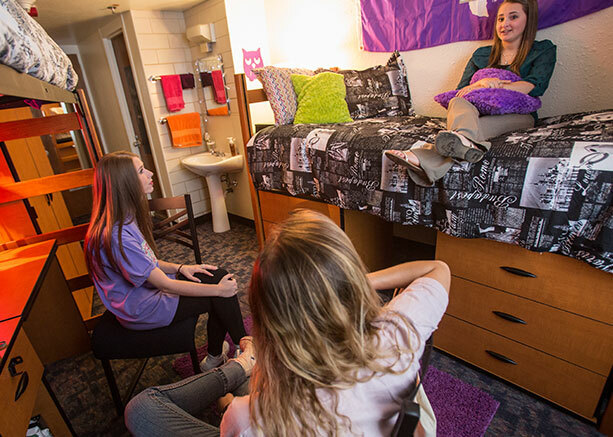 Quickly make new friends as one of 5,000 students in our 14 residence halls, and take advantage of the support of our friendly residence life staff members. On or off campus, you’ll never be far from delicious dining at SFA. 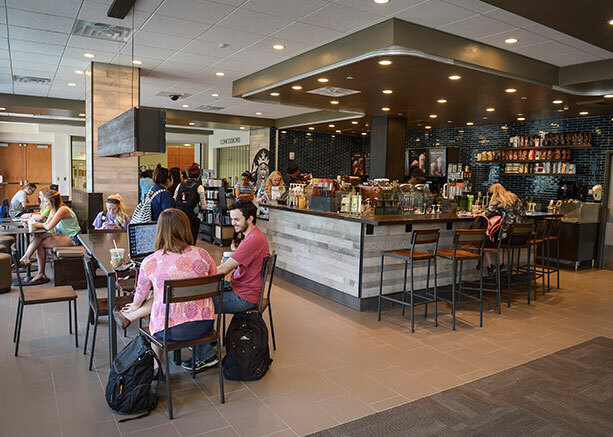 From familiar national chains to local favorites, you’ll find plenty of places to grab a bite or a coffee. Students also enjoy on-campus meal plans with fun theme nights and options for special dietary needs.